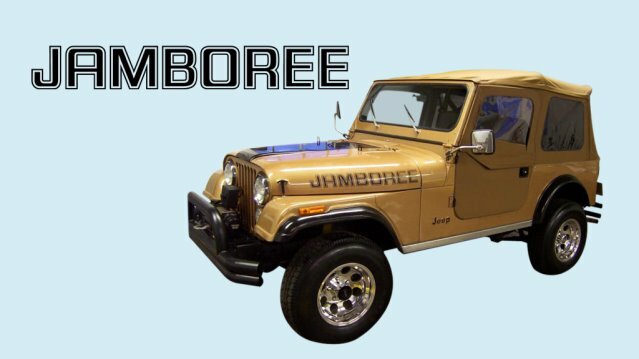 To commemorate the 30th Anniversary of the Jeepers Jamboree, in 1982 Jeep unveiled this very special edition CJ-7 "Jamboree." Originally available in either Topaz Gold Metallic or Olympic White, both colors were dressed with bold Black "Jamboree" hood lettering. Your surviving off-roader deserves the best restoration decal kit on the market. Our 1982 Jeep CJ-7 Jamboree stripe kit is manufactured to meet or exceed OEM stripe/decal standards and will restore your classic back to factory specifications.